When was the last time you cleaned your make-up brushes? If the memory escapes you, you’re not alone – only 61% of women clean their brushes once a month and 22% have never cleaned them at all (Huffington Post). Despite being in good company, you may want to pencil a regular cleaning into your busy schedule. Dirty brushes carry dirt, grime and bacteria that can wreak havoc on your skin, aggravating problem areas and compromising your complexion. Here are three dangers you can avoid by giving your brushes a regular scrub. With each swipe of your make-up brush, dirt and debris settle onto your skin’s surface and seep back into your pores, causing them to become clogged and congested.Weeks (or months) old makeup can lurk in your brushes’ bristles, causing a buildup of gunk and grime. With each swipe of your make-up brush, dirt and debris settle onto your skin’s surface and seep back into your pores, causing them to become clogged and congested. Without a clear pathway to the surface, your skin’s natural oils get backed up, causing a dull, dry complexion. Unkempt brushes are a breeding ground for bacteria. According to Bustle, “Swiping a dirt and bacteria-infested brush all over your face can cause an overload of microbes that your skin isn’t used to handling.” These unknown entities can initiate a stress response in the body, triggering inflammation and aggravating problem areas. To make things worse, lingering makeup can stiffen your brushes’ bristles, irritating already sensitive skin. SELF says, “Buildup that gathers on dirty make-up brushes causes them to deteriorate quicker.” Without proper care, the fine hairs of your favorite brush can clump together and lose their shape, giving your makeup application a streaky and uneven appearance. Instead of the natural look you’re after, your liquid or powder foundation can take on a cakey quality as you add more layers to smooth your complexion. To offset these frightening effects, dermatologists recommend cleaning your brushes at least once a month and preferably every two weeks (Bustle). 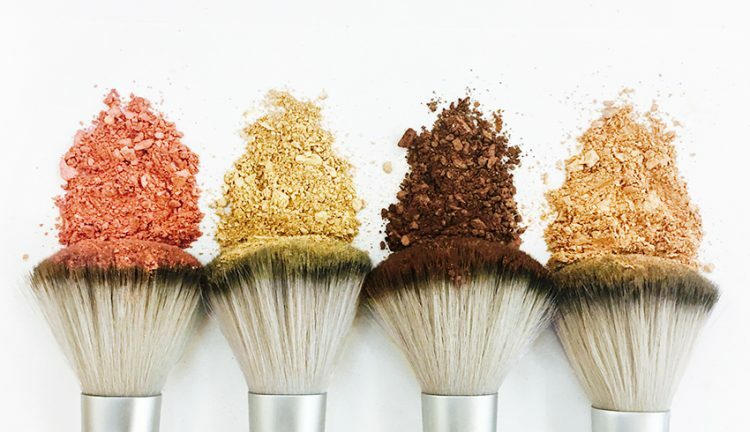 Not sure how to clean your makeup brushes? We suggest using our Natural Brush Cleanser. Celebrity make-up artist Gucci Westman is a fan of this cleanser’s natural and organic ingredients, which keep her tools in tact. Simply spritz and blot your brushes after every make-up application to keep them fresher and cleaner, longer.